GYEONGGI-DO--(뉴스와이어) 2019년 01월 16일 -- Marquis Who’s Who, the world’s premier publisher of biographical profiles, is proud to present June Sung Park, Ph.D., with the Albert Nelson Marquis Lifetime Achievement Award. An accomplished listee, Dr. Park celebrates many years’ experience in his professional network, and has been noted for achievements, leadership qualities, and the credentials and successes he has accrued in his field. As in all Marquis Who’s Who biographical volumes, individuals profiled are selected on the basis of current reference value. Factors such as position, noteworthy accomplishments, visibility, and prominence in a field are all taken into account during the selection process. With 40 years of professional experience, Dr. June Sung Park has been chair and chief executive officer of JPIS Company Ltd. since 2012, having also served as an invited professor at the Korea Advanced Institute of Science and Technology from 2010 to 2018. Since 2018, he has also been the acting chairman of the Korea Software Technology Association, having also been the president of the Institute of Software Education with the association since 2010. 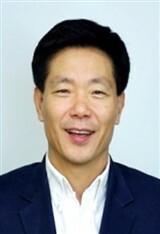 Prior to obtaining his current roles, he was senior executive vice president and chief technology officer at Samsung SDS from 2001 to 2009, net regional director at Microsoft Korea from 2001 to 2002, and an invited professor in the department of computer science and technology at Tsinghua University in China in 2000. From 1989 to 2000, he was a professor and director of the E-Business Engineering Laboratory in the Tippie College of Business at the University of Iowa. He previously served as an assistant professor and instructor at Louisiana State University from 1987 to 1989, and a research associate and software engineer with the Ohio State University from 1984 to 1987. Earlier in his career, Dr. June Sung Park was on the research staff at Korea International Economics Institute from 1980 to 1982 and on the planning staff at the Korea Development Finance Corporation from 1978 to 1980, among other prominent roles. Dr. Park began his career as a student at Seoul National University, obtaining a Bachelor of Business Administration in 1979 and completing a Master of Business Administration in finance in 1983. He later traveled to the United States to study at the Ohio State University, where he earned an interdisciplinary Doctor of Philosophy in computer science and systems engineering in 1988. He holds numerous Korean and European patents in the field of software engineering and is notably the developer of a software development lifecycle framework entitled Value-Obsessed Lean Framework, which has been taught to thousands of software professionals and graduate students, as well as adopted by several software companies. Over the course of his career, he has trained and supervised 350 application software designers, programmers and test engineers; 150 software, data and technical architects; and 400 process engineers, software engineering methodologists, tool experts, quality assurance staff and software framework engineers. Throughout his career, Dr. June Sung Park has been recognized significantly for his contributions. 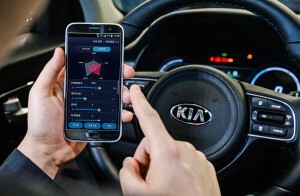 The recipient of a Research Award from the Korean Society of Information Technology Services, he also received an Information Technology Award from the Korean Institute of Information Scientists and Engineers, and the Software Technology Award from the Korea Software Promotion Agency, the Korea Software Technology Association, and the Korea Software Industry Association. Dr. Park was named Korean VIP Director by the Yonhap News Agency and a Leading Contributor to Korean Software Industry Award by the Prime Minister of Korea. Likewise, he has received myriad research grants through the Korean government and the University of Iowa.